Soldiers examining boy notice suspicious behavior. Suspect, 16-year-old from Yatta, taken for questioning. 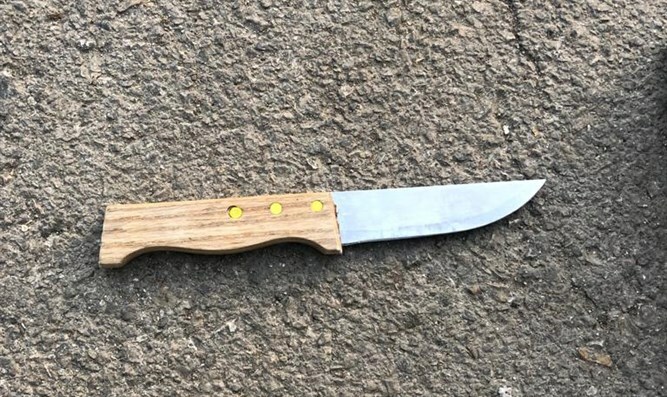 Border Police officers operating in the Tomb of the Patriarchs in Hevron today identified a Muslim boy who tried to enter the cave in a suspicious manner through one of the positions where the fighters are stationed. The soldiers who carried out a thorough examination of the boy noticed his behavior, which aroused their suspicion. The search revealed a kitchen knife that he had hidden on his body. The suspect, a 16-year-old from Yatta, was transferred for interrogation by the security forces. The Border Police say a few days ago an intelligence alert was raised that the suspect was apparently planning to carry out an attack. "The alertness of the fighters led to his arrest and the thwarting of his intentions," a Border Police spokesman said.